Contents: Turkey and cheese sandwich, cucumber and mixed fruit. Source: http://easylunchboxes.smugmug.com/ Thanks Kelly L.! Notes: Classic, delicious and healthy. 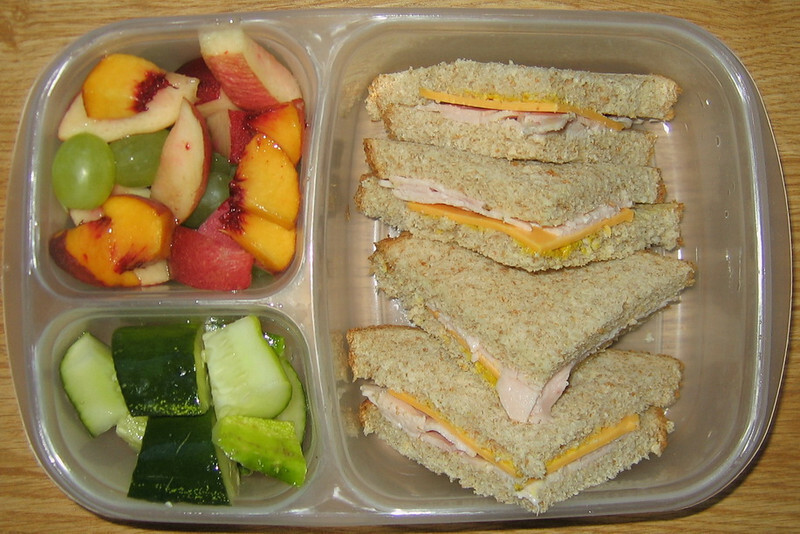 This is not an institutional lunch, but one packed from home. That's why it looks decent. The website this is from Is for a lunchbox system, and the photo is a buyer's submission.